Click on the Family Login button above. 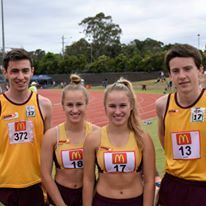 Enter the email address you used when you registered with Little Athletics NSW. If you are unsure of this email address you may need to contact the Registrar. Enter the password you used when you registered with Little Athletics NSW. If you are unsure of your password click “I’ve forgotten my password” and follow the prompts. Click on your child’s name and their results will be displayed.